Improve your riding skills - or enjoy a trail-ride! Whether you're experienced or a beginner, you can enjoy fantastic equestrian experiences at Yorkshire's riding centres. Some specialise in flatwork, jumping or cross-country lessons, while others offer hacks and trail-rides through the fantastic Yorkshire landscape lasting an hour - or several days! 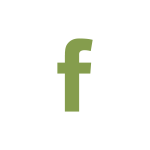 We only list businesses licenced by their local Council, which means they're fully insured and have annual veterinary and safety checks. Many have additional accreditation from the British Horse Society (BHS) or the Association of British Riding Schools (ABRS).  Feel free to ask us for advice on the best riding centre for you, or just contact the centres direct - please let them know you found them through Ride Yorkshire! IMPORTANT! Be honest about your riding skills. You could end up being frightened if you're 'over-horsed', and no riding centre owner wants their better horses upset by an inexperienced rider. It's far better to make sure you're matched with a horse or pony you can enjoy. We also list places where you can enjoy off-road hacking on farmland and private tracks. Use the listing or the map to find your next horsey adventure!